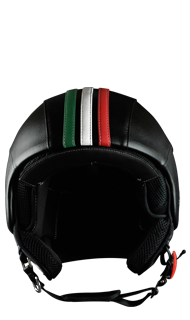 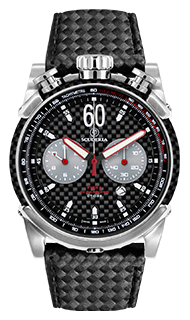 Derived from the original Master Time model, Corsa is the perfect match for the world of elite sport-racing. 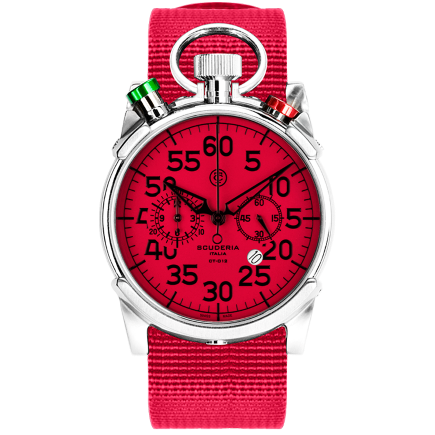 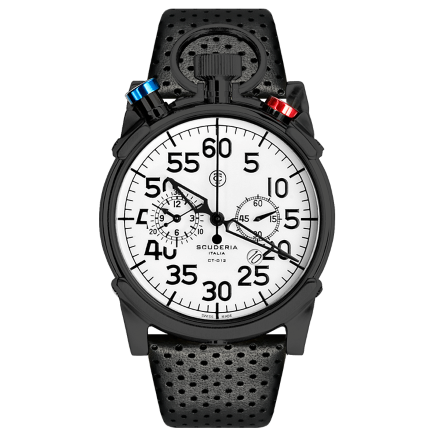 Designed by Enrico Margaritelli, it brings to life his visions and ideas that stem directly from his passion for precision timing instruments. 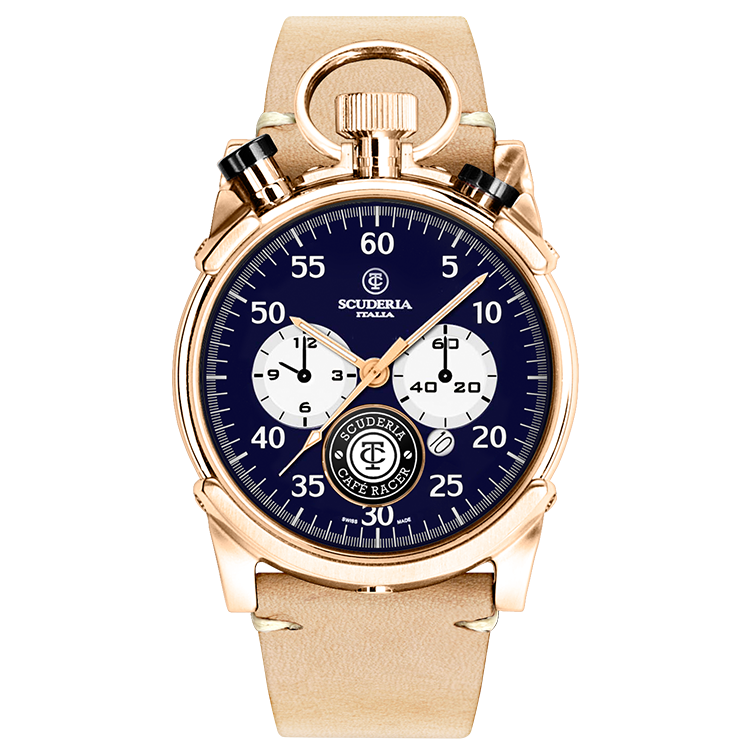 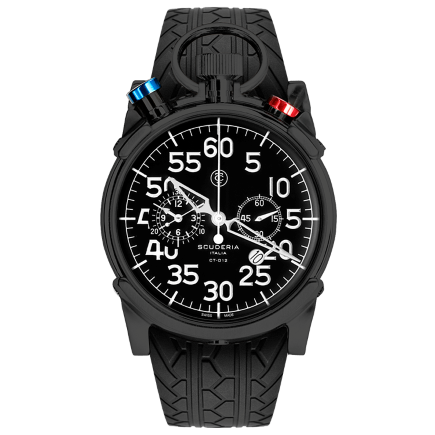 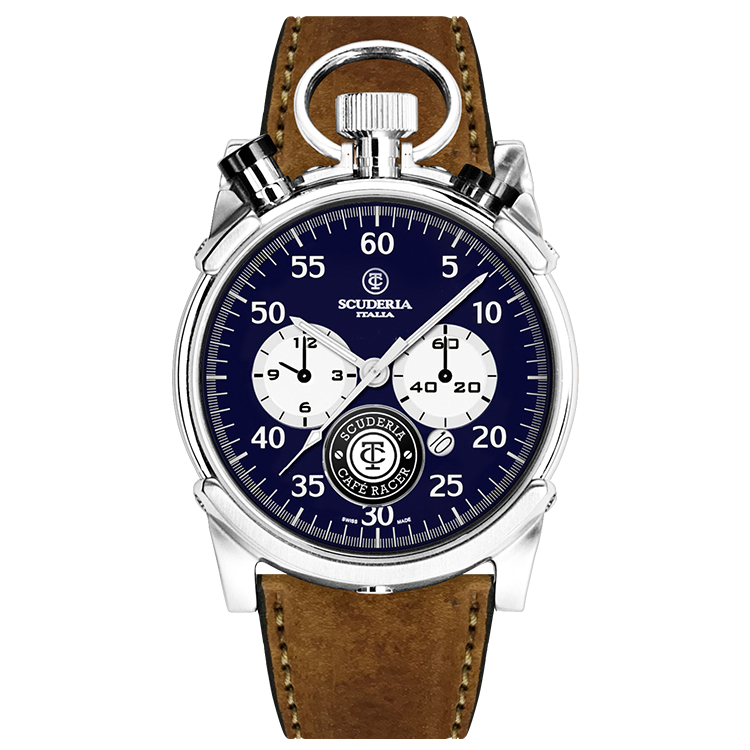 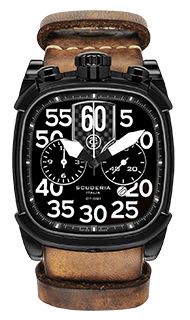 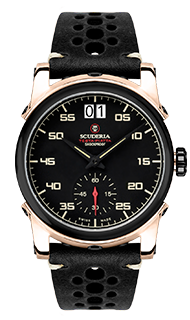 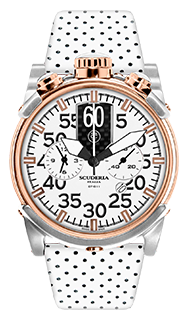 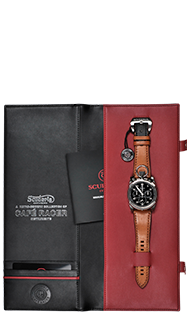 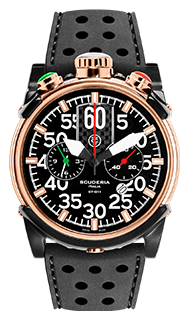 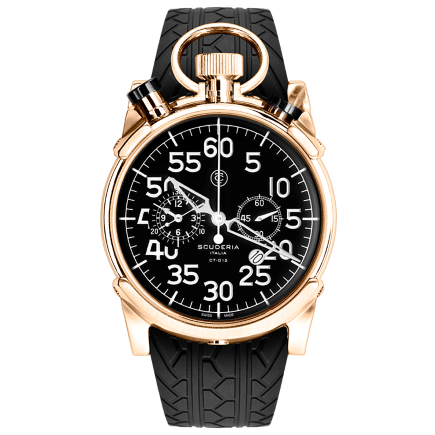 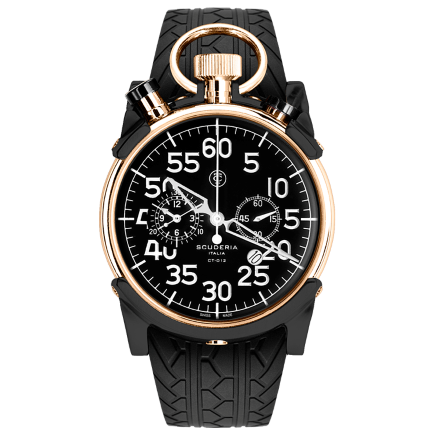 Its shape is inspired by the official stopwatches and ultimate time keepers of speed races, such as the Corsa neck watch that CT Scuderia proposes with a genuine leather string. 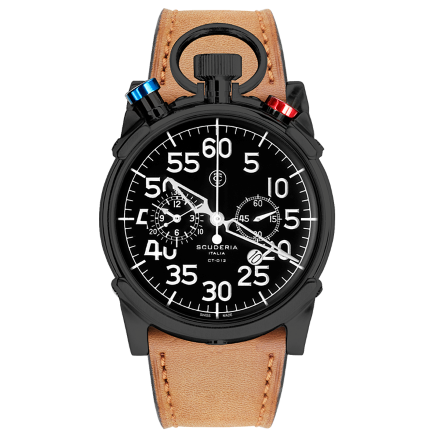 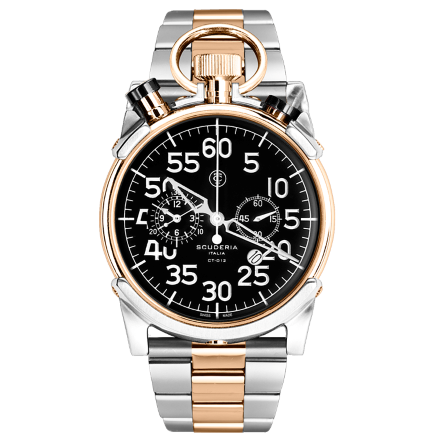 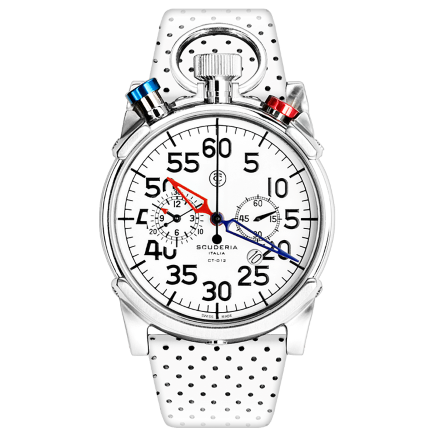 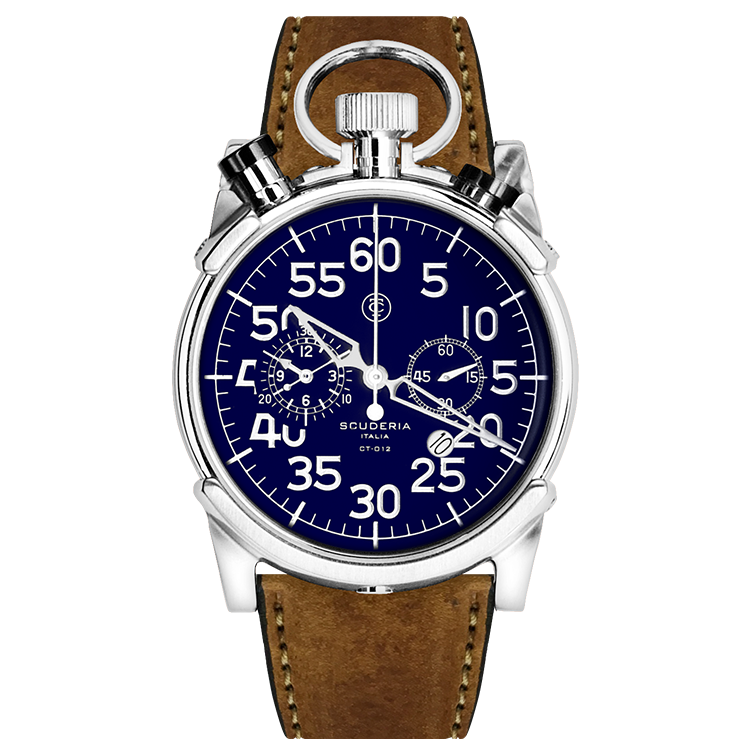 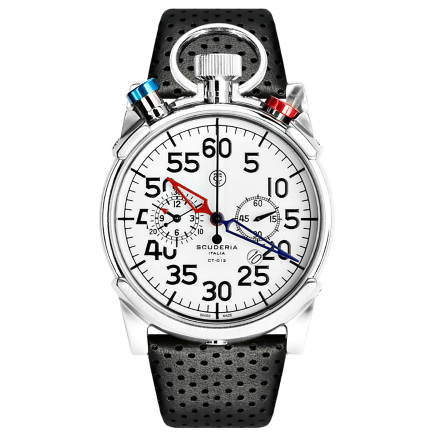 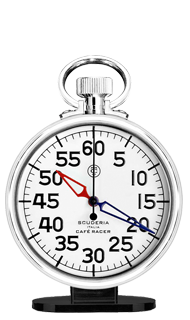 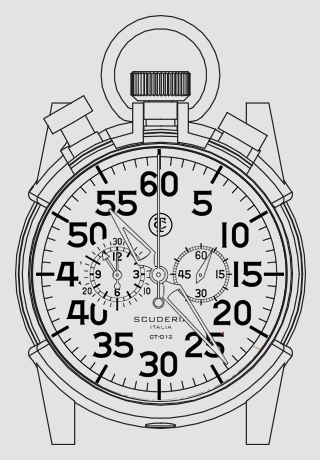 It was created with pushers of different dimensions in order to be used easily during the action without having to look at the instrument for the start stop and split and to also be used with gloves for a continuous 12 hour chronometry. 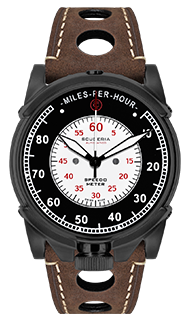 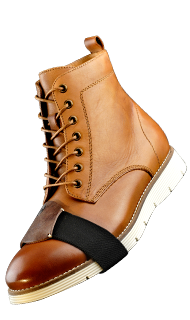 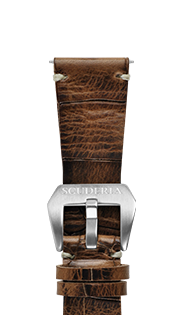 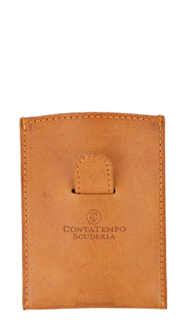 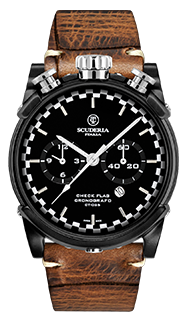 The perforated leather strap is the same leather utilized in luxury sports cars; handmade in Switzerland. 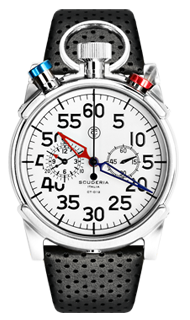 The case back is unique and pays tribute to the Italian Flag with bold enamel colors.